Service Provider of PP H Chemical Piping Services. Our product range also comprises of PP Socket Fusion, Piping Grid and PP Chemical Tanks. 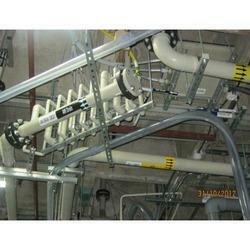 We are the leading organization actively engaged in offering PP H Chemical Piping Services. Our provided services are offered with the help of our professionals having great experience of their work and execute these in accordance with the market standards. Also, these services are rendered under the direction of our quality personnel, who check each and every phase of process and ensure that the procedures are carried out according to the norms specified by the industry.